There’s more to Dublin City than beautiful buildings, broad streets and cobbled stone. Why not check out some of Dublin’s nurtured green spaces while you’re in town? Tucked away behind the National Concert Hall, you will discover the beautifully manicured Iveagh Gardens, a lush retreat from the busy city that encloses it. The gardens have existed in their present form since 1863, when they were laid out by Benjamin Guinness, of the famous Guinness dynasty, grandson of the creator of Guinness himself, Arthur Guinness. The land had previously been used as a private garden by “Copper-faced Jack”, Earl of Clonmell, whom the famous Dublin nightspot Copper Face Jacks on nearby Harcourt Street is named after. The Iveagh Gardens were originally called the Coburg Gardens, after the British Royal Family name, Saxe-Coburg (Britain ruled Ireland until the Irish War of Independence ended in 1921). They’re designed somewhere between the ‘French Formal’ and ‘English Landscape’ styles, popular at the time. Benjamin’s son Edward, the first Earl of Iveagh, presented the gardens to the newly chartered University College Dublin (UCD) in 1908, which at the time was housed in a nearby building on Earlsfort Terrace. They were renamed the Iveagh Gardens in honour of Edwards generous gift to UCD and the City of Dublin. St. Stephen’s Green (often referred to simply as Stephen’s Green) is hard to miss on any visit to Dublin City, due to its large size and its location at the top of the City’s premier shopping straight, Grafton Street. For much of Dublin’s history, this beautiful space was a marshy common on the edge of the City, but following expansion of the City and population, now finds itself very much at the heart of things. The land became a ‘park’, so to speak, in 1664, when it was enclosed with a wall by Dublin Corporation. They wished to create a large square which they could sell the land around the perimeter for building. The opulence of the buildings which sprung up around the land, inhabited by the wealthy and built in the Georgian Style which is still so evident in the City today, led to further improvement of the park, which became a popular spot in town, particularly for the well-off. In its current format, it was designed (with a little help from his predecessors who had already put in place things like railings and paths) by William Sheppard, an eminent landscaper of the day. It was finally opened to the public in 1877, following a campaign by Sir A.E. Guinness, yet another member of the Guinness family, who paid for the remodelling of the park by William Sheppard. Guinness handed over the park to Dublin Corporation in 1880 for the public to enjoy. A fantastic place to stroll, relax and the go-to place in Dublin for many when the sun is out, do not miss Stephen’s Green if you’re in town. I’ve honestly never met someone who’s been there and doesn’t adore it. Merrion Square is another ornate Georgian-era park located beside the Irish Government buildings at Leinster House, in the heart of Georgian Dublin. It is widely regarded as one of the City’s finest public squares. First mapped as a park in 1762, it is one of the oldest parks in Dublin that still survives without having undergone major redesign in the ensuing 252 years. The beautiful, red-brick Georgian townhouses which surround the square on three sides, whilst now mostly occupied by offices, colleges and embassies, were once mainly residential. Some of the most famous Irish figures in history lived on Merrion Square, including W.B. Yeats, Oscar Wilde and Daniel O’Connell. Enclosed by leafy trees and hedges, and decorated with a rainbow of colours in flowerbeds and shrubbery, you can step into Merrion Square and forget about the world for a while. Sit down on a bench, stretch out on the grass and emulate those who have done the same over the course of a quarter of a millennium. A little bit further outside of town than the rest is the tranquil Bushy Park, in Terenure, south of the City. This park has a little bit of everything, from wooded areas, to wide open grassland, from ponds to streams, hills and meadow land. There are also Tennis courts and a skate-park to enjoy, in addition to a number of Football and GAA pitches. It is known as an excellent spot for bird-watching, frequented by the sparrow-hawk, kingfisher and treecreeper. The park originally constituted the land of a beautiful white house (Bushy Park House) which now sits in an upmarket housing development in the park. Through various changes of ownership, the area of the land attached to the house was increased, until the size reached the current 51 acres. The house and grounds were sold to Dublin City Council in 1953 and subsequently were opened to the public as Bushy Park. It is one of my favourite places in Dublin to go and get away from it all for a few hours, and is very accessible by road, on foot and by bicycle. I really hope you visit some of these wonderful spaces on your trip to Dublin. Each one brings something different to the table but all are common in the calming, relaxing impression they create. For more info on Dublin City, click here. Often, the best things in life are free. Read about more free things to do in Dublin here. 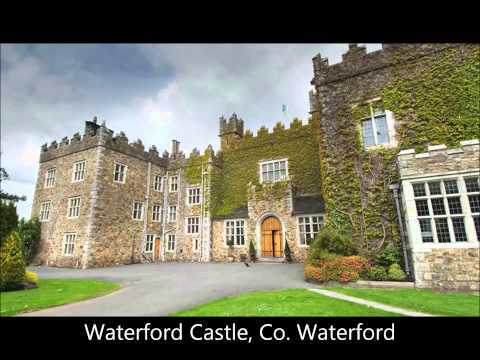 If you're planning a trip to Ireland, contact us today and let us help make your dream holiday a reality.